A 2010 Macbook Pro was dropped. It will not boot in recovery mode. 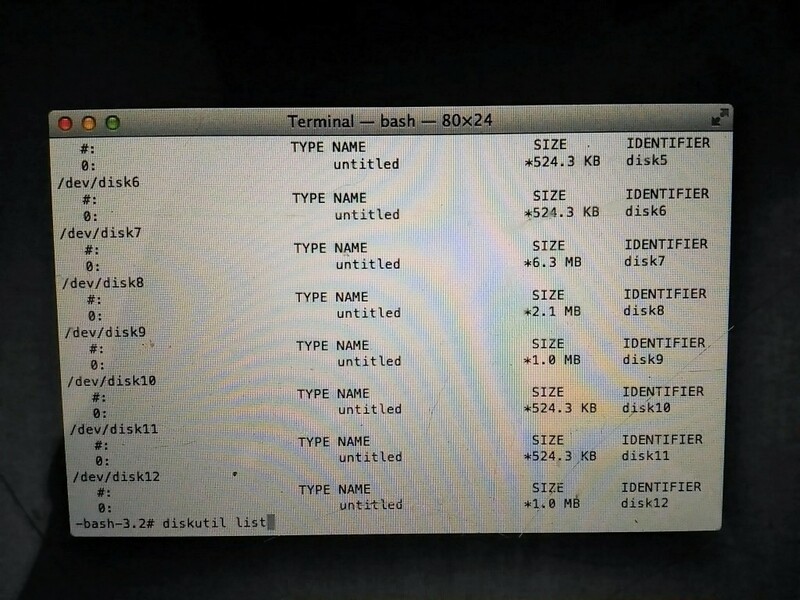 when I boot from a USB with Mountain Lion on it I can see only: Disk 1 -> Mac OS OX Base System. I was hoping to get data off the drive. I have installed Mountain Lion on an External USB HDD and it will boot and run from that. In Disk Utility no other drive shows up. 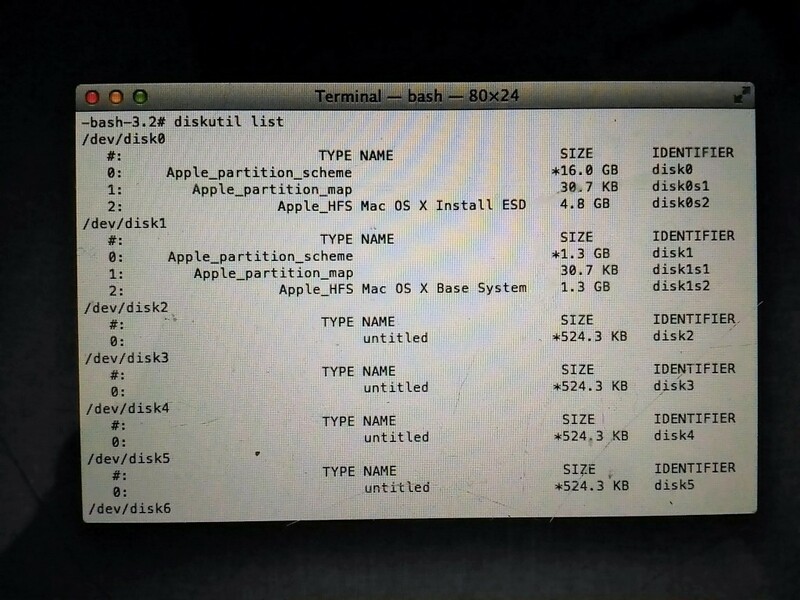 Only when booting from the USB drive do I see: Disk 1 -> Mac OS Base System. The only option is to "Verify Disk" and it checks ok. Repair Disk options are grayed out. Would something like DiskWarrior be recommended? /dev/disk0 (the USB installer disk) is the only physical disk visible here. The rest are all virtual disks of one sort or another -- /dev/disk1 ("Mac OS Base System") is a disk image mounted from the USB disk, and the rest are RAM disks used by the Recovery system. Since I don't see any sign of your internal drive, even at the /dev entry level, I'm pretty sure you have a hardware problem that nothing like DiskWarrior will be able to help with. The disk itself may be dead, or a cable torn, or a connector knocked loose. In any of these cases, the only chance you have to get data off is will involve opening up the computer, checking cables and connections, and maybe removing the HD. Recent Apple laptops are not very easy to work on, so you may not want to risk doing this yourself. If you want to try, there are guides at iFixit.com; if not, find a repair shop to do it for you. If it's just a cable/connector problem, repairing it and getting your data back is pretty straightforward. If the drive itself is dead, you may have to send it to someone like DriveSavers for recovery (which is expensive). I plugged the original drive into my PC and its perfect. it also works fine as external USB 2.0 (slow) drive. so something is wrong with SATA interface onboard I guess. 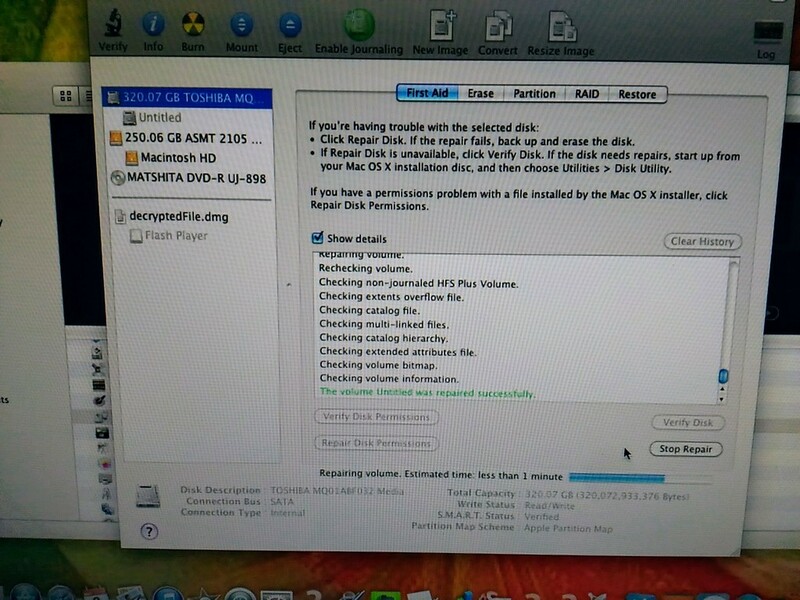 I have an extra SATA drive in the machine now, disk utility sees it, but would not see the original drive? go figure. Disk Utility is having a hard time with the new drive i'll post a picture. says it repairs and just gets stuck at "repairing volume...1 Minute..."
I have ordered and external Firewire 800 enclosure to hold her for now. should work since USB 2.0 works. OS is 10.6.8. Not the answer you're looking for? Browse other questions tagged mountain-lion hard-drive boot .